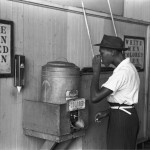 In the United States the well-being of blacks is still below the well-being of whites. This has been shown by a new IZA Discussion paper by Betsey Stevenson and Justin Wolfers. Yet, compared to the early 1970s the study reveals that the racial gap in well-being has shrunk: two-fifths of the gap has closed and these relative gains have occurred despite little progress in closing other racial gaps such as those in income, employment, and education. The authors suggest that large declines in prejudicial attitudes towards blacks could be explained with improvements in the subjective well‐being of blacks. However there remains prejudice today and, along with it, a racial gap in well‐being, some of which may have its explanation in the unfinished parts of the civil‐rights era agenda. As much of the current racial gap in well-being can be explained by differences in the objective conditions of the lives of black and white Americans, the authors argue that making further progress will likely require progress in closing racial gaps in objective circumstances. It matters if you’re black or white - on Australian buses!